The rest of my family is a different story though. If there is a word other than chocolate in front of milk, they balk and turn up their noses. 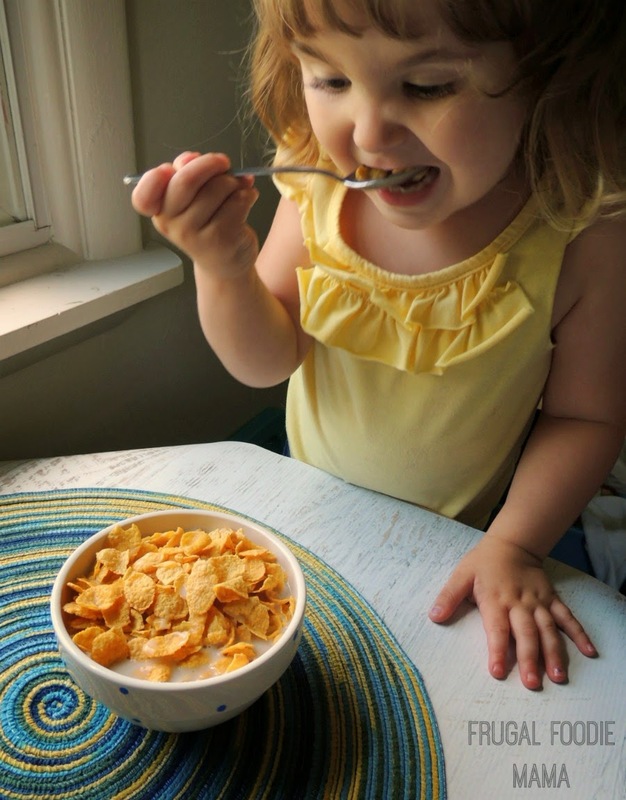 Believe it or not, little miss is not a fan of the sugary, colorful cereals out there. Her cereal of choice in the mornings? A bowl of plain ole cornflakes with some cold milk poured generously over top. The Silk Vanilla Almondmilk ended up getting a thumbs up and obviously a big bite of approval from little miss. 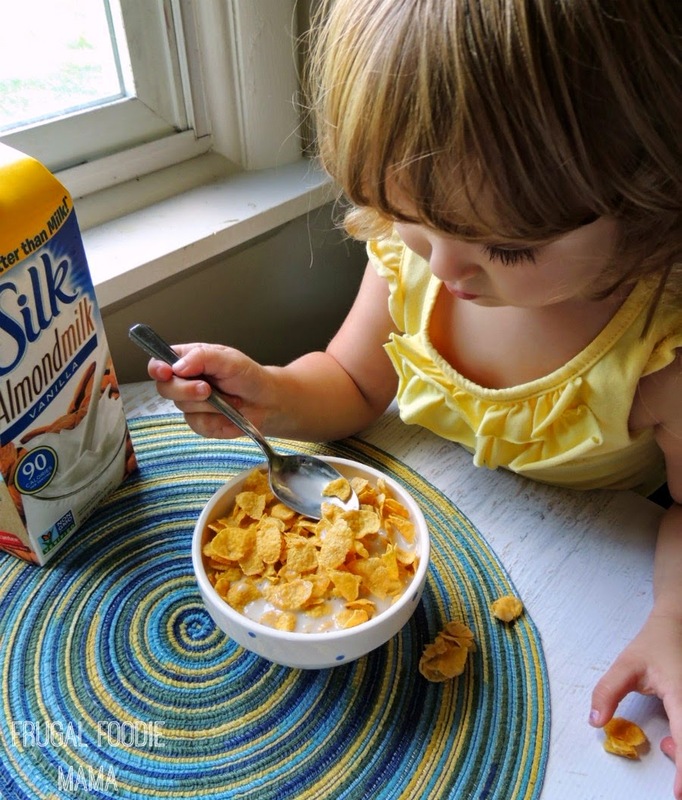 She now asks for it on her cereal most mornings of the week, and even requests a glass of almond milk sometimes instead of her usual 2% milk or chocolate milk. 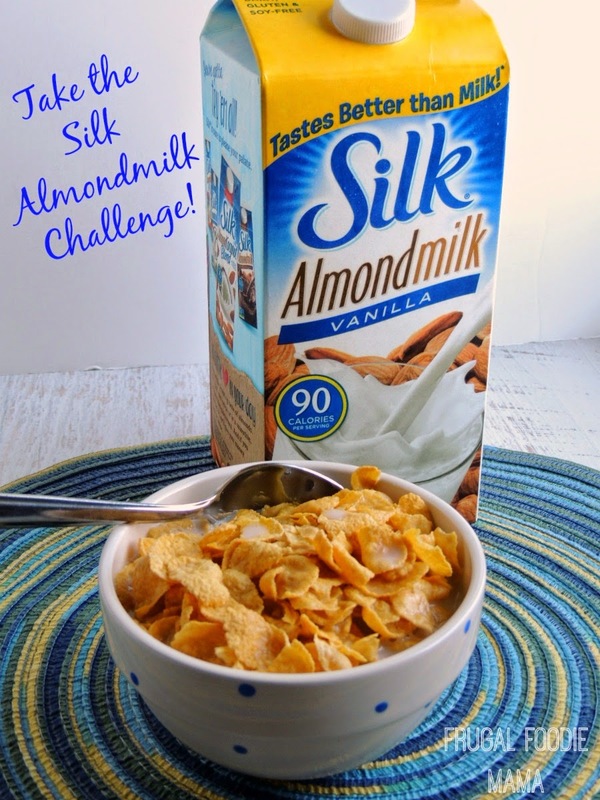 Do you accept the Silk Almondmilk Taste Challenge? Already a fan? 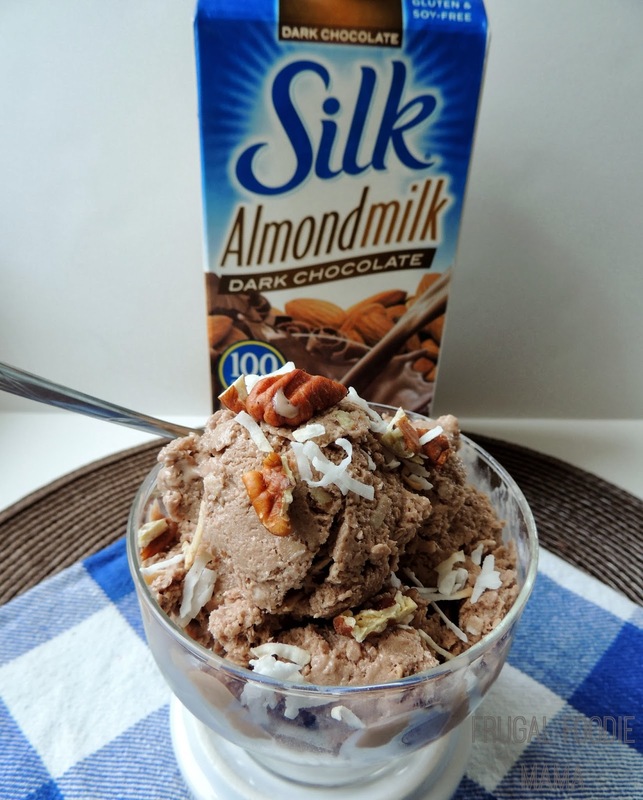 Who would you challenge to try to Silk Almondmilk? 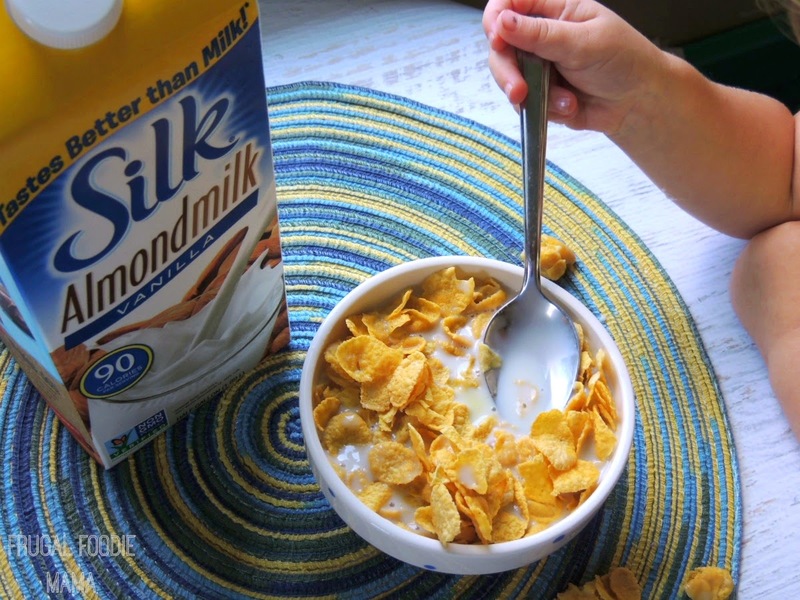 How would you like to receive a free coupon to try Silk Almondmilk for yourself for free? 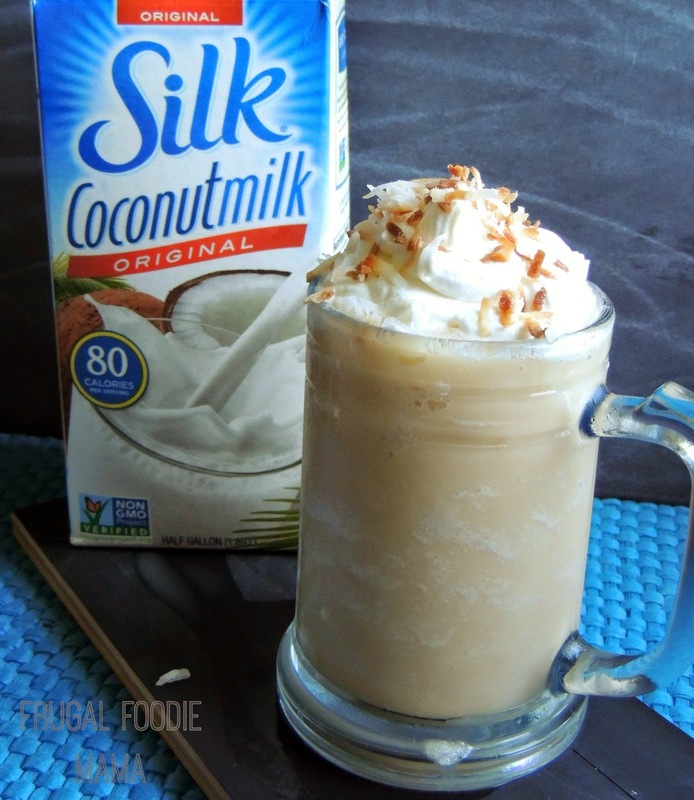 Just sign up for the Silk e-newsletter to receive your coupon and to be eligible to win awesome new prizes each month!